Review of Allen Gear's ShapeShift 4.0 holster, and why it is called modular magic. 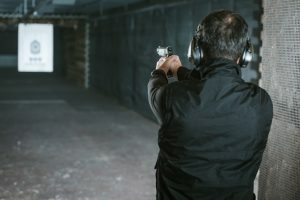 Whether your favorite .45 is bargain-basement or top-of-the-line, its ability, and the ability of many pistols, to protect you depends a lot on your inclination and skill to carry it. We've worked with a huge variety of holsters over the years. Some have turned out to but good, and others not so much. The one we're covering today makes protecting and accessing your pistol about as comfortable and responsive as any we've ever tried. The holster in question is the Alien Gear ShapeShift 4.0, a modular IWB holster system that matches the precision engineering and AlienSkin technology that made Alien Gear famous with unmatched versatility. Considering that this holster can just as easily be carried as an OWB, we’re very pleased, but not surprised that it ranks up there as a top IWB holsters for pistols. Let's break down the features. The first thing most people notice about this holster is the fact that it's really four holsters in one. 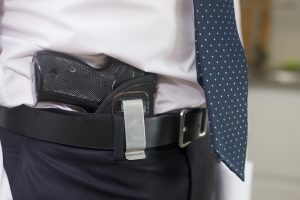 The shell-and-paddle combinations can be swapped around to let the user carry inside or outside the waistband, attach the holster to different types of belts, attach to static mounts, and tuck in an undershirt or not depending on personal preference. That's a lot of versatility from a fair price holster kit. 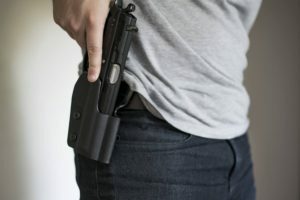 When it comes down to it, the best holster in the world isn't worth much if you're not able or willing to carry it consistently. The ShapeShift 4's modular design makes it impressively easy to match your holster to your outfit, rather than constrain your outfit choices to the needs of your holster. This feature is especially important for larger pistols like the full-size 1911s; we're pleased to be able to report that the ShapeShift conceals effectively regardless of how you choose to wear it. As an added bonus, this system carries effectively in every conventional belt position and draw angle, so you're not going to have to relearn your draw or change up your drills. We're really impressed by the options here; the ShapeShift earns its name and lives up to Alien Gear's reputation for quality. The kit even comes with hardware that allows you to detach the holster shell from your belt and mount it to a variety of static surfaces, all without the pistol ever needing to leave the holster. 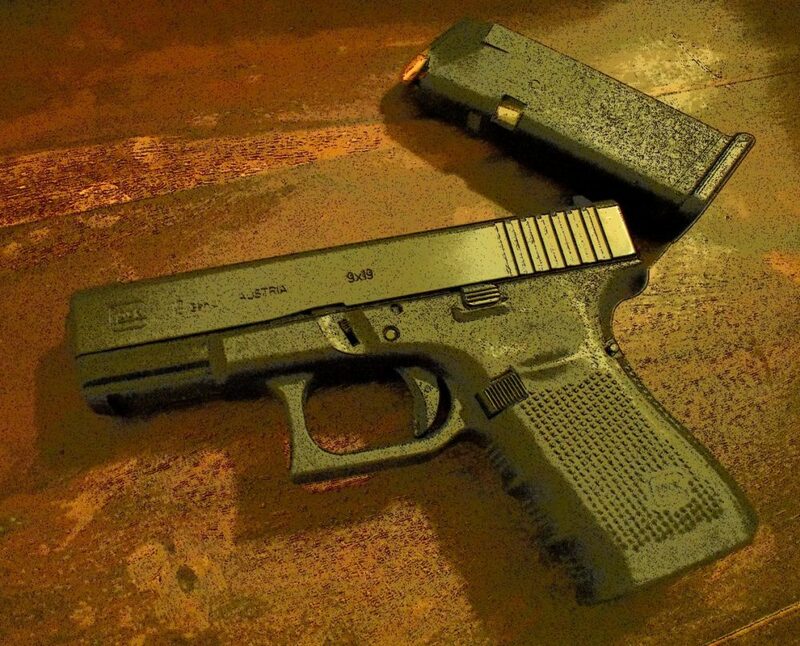 Alien Gear relies on a substance the company calls AlienSkin to retain your pistol while protecting its finish. AlienSkin, described by the company as a "thermo-elastomer," resembles slightly tacky hard rubber. We assume it's based on top secret DNA recovered from space probes, because its performance really is out of this world. The flexible back panels are constructed of layers of rubber and a thin steel sheet, making it easy to adjust to the contours of your body and more than durable enough to stand up to daily use and abuse. The clips are built from durable ABS and the locking nuts fit snugly in easily-accessible positions. We're confident that you could get down and dirty wearing this rig without worrying for a moment about the safety of your carry gun. The ShapeShift is built to last by a company with a strong reputation for quality products. We've heard the occasional complaint regarding previous Alien Gear holsters' mounting screws loosening up over time; we're pleased to report that that issue has been solved for good. This thing is rock solid, whether worn IWB or OWB, and manages to be so without sacrificing small form factor or tough construction. 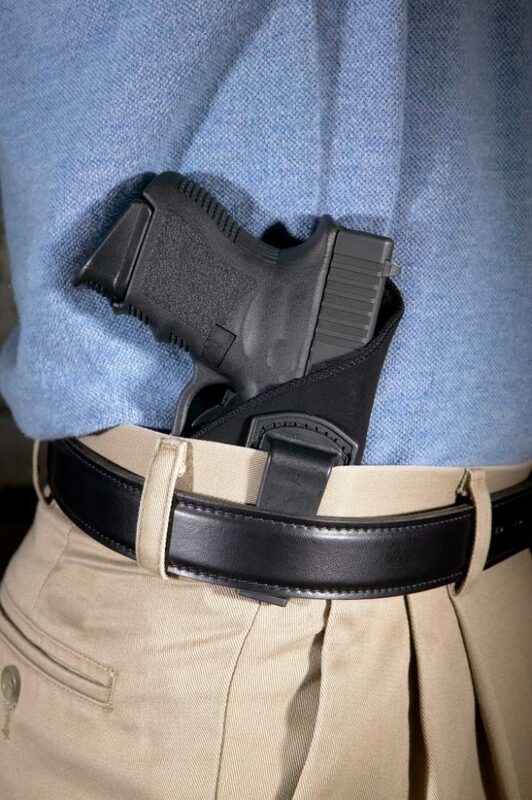 This holster system is covered by a full lifetime warranty and made right here in the United States, both of which speak to its quality construction and the manufacturer's faith in the product. 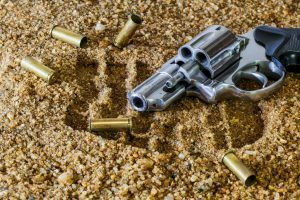 You will get your money's worth and then some, both in terms of comfort and firearm protection. If you'd like to see a visual demonstration of the available features, check out this video from Alien Gear that gives a nice rundown of what to expect in the starter kit. As with all things made by man, there are a few small issues here we'd like to touch on. 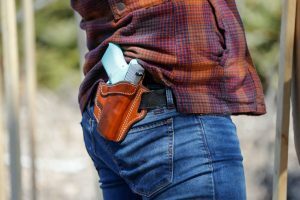 The first is less a complaint than simply an observation: You still need a sturdy belt to wear this holster, so if you're looking for something that can work for pocket draw or be stuck into a snug waistband, you won't find it here. 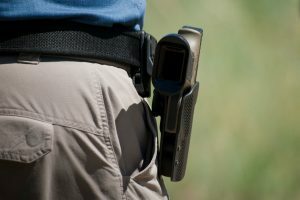 Again, though, that's not really a complaint - this holster works exactly as advertised in the roles it's designed for. Retention-wise, this holster falls somewhere in the middle of the pack. 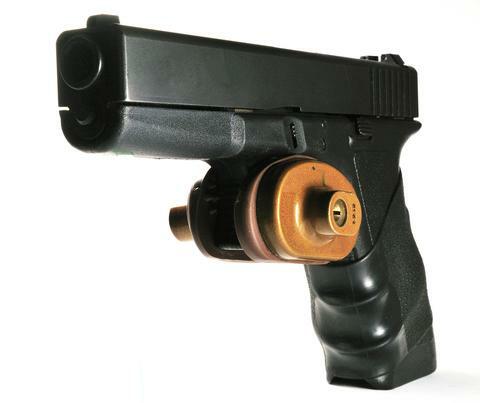 There's an active thumb-release option and the passive retention system is adjustable, but if your priority is a retention holster designed to resist a serious struggle for your gun, this isn't it. 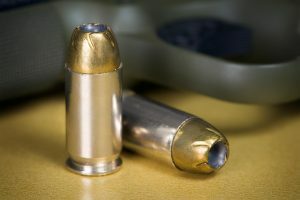 Alien Gear relies more on concealment than brute force to keep your gun in the right hands, bear that in mind when shopping. Lastly, while this holster remains impressively low-profile despite the amount of rubber and plastic involved, small folks may find it a bit large for tight outfits. If that sounds like you, check out our other articles on Belly Bands and Sticky Holsters's line of products for some other options. As you can probably tell by now, we're huge fans of this system and the possibilities it unlocks. You're paying for a holster, but in reality you're getting an entire concealed carry system that can be customized to an incredible degree. It's tough, yet light and comfortable. It'll retain your pistol during normal conditions and allow you to pull it off your belt and attach it to a static mount without a second thought. The best IWB holsters for 1911 pistols are those that maximize security and ease of access without sacrificing comfort, and we're pleased to say that the ShapeShift 4.0's unmatched versatility makes it an outstanding option along all of those lines. You can find the full setup here on Amazon or visit the Alien Gear website to learn more. Be prepared for close encounters with a holster that can be customized to fit your every need.